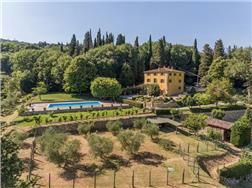 Situated on a hillside with spectacular views south towards Cetona, the Villa is surrounded by an immaculately maintained garden and grounds including a swimming pool. 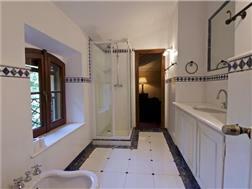 Major internal restoration was carried out about twelve years ago to modernize the kitchen and almost all of the bathrooms. 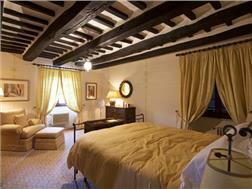 Each of the rooms was hand painted with a freehand design and each creates its own elegant atmosphere. 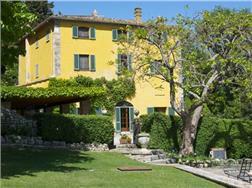 Some external work to the façade, the roof and fixtures would restore it to its finest glory, this has been reflected in the asking price. 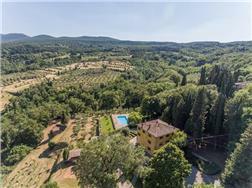 Considered one of the most beautiful areas of southern Tuscany; lush, vibrant, with a magically harmonious blend of olives, vineyards, cypresses and the woods of Monte Cetona. 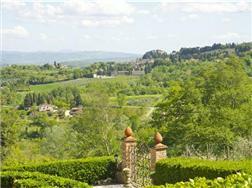 It is also favoured for excellent access to all the most beautiful Tuscan hill towns and by both rail and road to Rome and Florence. 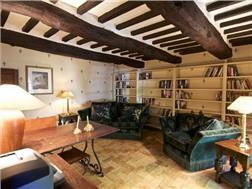 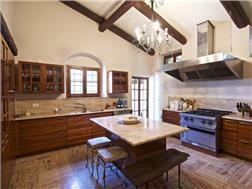 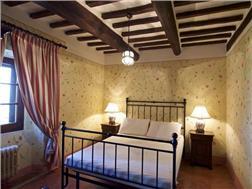 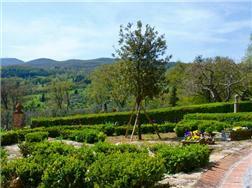 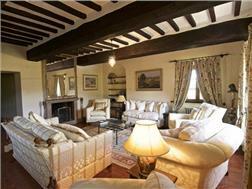 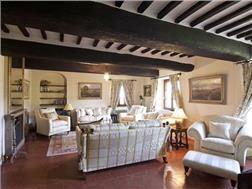 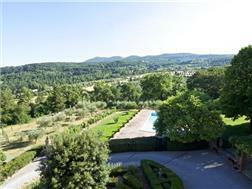 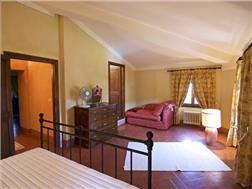 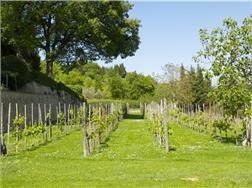 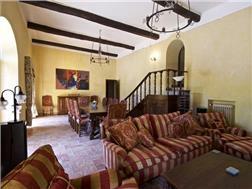 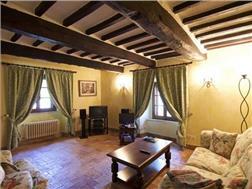 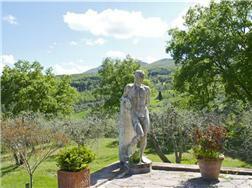 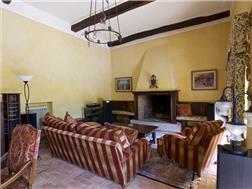 The Villa is surrounded by a semi formal Italian garden with a small vineyard and some olives close by. 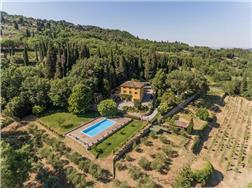 The rest of the land is taken up by further olive groves with about 1,000 plants in all but these do need maintenance and pruning to bring back into production, some pasture and woodland. 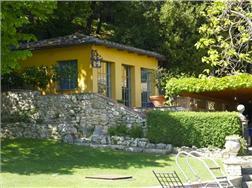 Covered Terrace with barbecue; situated below the Limonaia next to the kitchen. 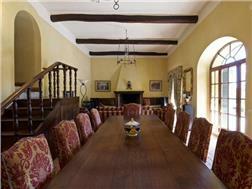 The house is approached by a sweeping drive with a parking area at the rear. 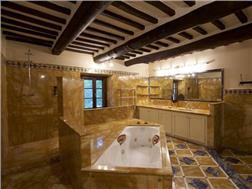 Large west facing bedroom with a spectacular bathroom with jacuzzi bath, walled shower 2 hand basins all finished in a very rare travertine from Siena blending with blue and white marble cut specifically on site for this room. 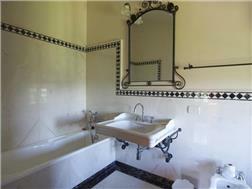 Attached bathroom finished in a delicate rose marble finished in black and white marble.